The first time I met Phumzile was on an impromptu trip to New Jersey, USA, to see South African jazz musician Vuyo Sotashe’s graduation performance, along with my childhood friend, Kenyan/Ethiopian South African raised theatre maker, Shariffa Ali. After that amazing day, I was so proud of these young South Africans who were, in their respective fields, blazing trails in the US and just couldn’t wait to report back when I returned home. 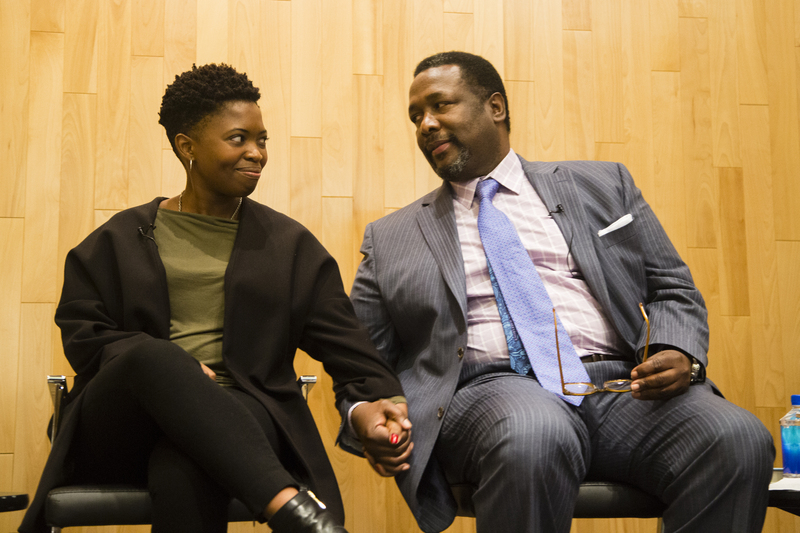 Phumzile, small in stature with an outspoken and funny personality, did not surprise me when she told me studying at the Arts at Columbia University. Her passion for what she was doing was so evident and I left her knowing I should be looking out for her and that she was about to make waves. 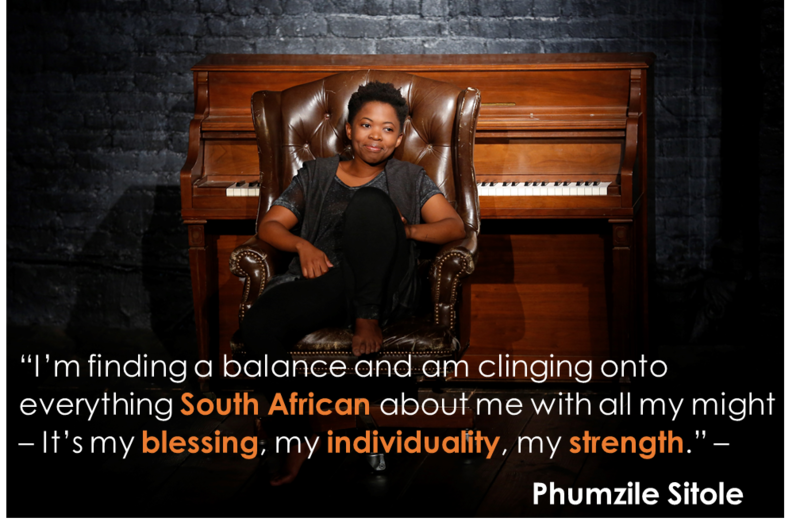 Since then, in addition to completing her Master of Arts degree, Phumzile has made great leaps in making a name for herself in the industry, both on screen and on the stage. Recently, you would probably have seen her on The Good Fight, currently airing on MNet, and on LostFound, a Sundance short film. She will be playing Charmian in the Folger Theatre’s upcoming fall production of Antony and Cleopatra. On my recent trip to the Big Apple, I caught up with this rising star. LM: For those who don’t know Phumzile, tell us about yourself. LM: What made you pursue an acting career, and who/what are you biggest influencers/inspirations in this regard? PS: I’ve always been drawn to the stage. I started hip hop dancing when I was 4 years old and since then had always looked forward to our end-of-year dance concerts. Being on a stage with lights, costume, hair and makeup and people in the audience waiting in anticipation, has always felt familiar and thrilling for me. With time, I started performing in school plays and that’s when scripts and stories started to take the place of choreography in my heart. I left the primary school I was in to go to St. Mary’s School for Girls, where they offered Drama and Zulu as matric subjects which was a priority of mine. My mother made that possible. Lots of tears and prayers got me to St. Mary’s and kept me there despite the financial difficulties my desires came with. LM: Tell us about your journey in the US, what you have been up to and what your triumphs and challenges have been. PS: I came to the US in pursuit of a Master’s degree in Acting. I got accepted to Columbia University in the City of New York and spent the three months before school started, trying to find money to finance the opportunity. The main challenge was staying in school and after my first year, money ran out and I went home during that holiday and it didn’t seem like I was going to make it back. But a friend of mine at Columbia offered me a place to live and her mom offered to pay the outstanding balance I had so that I could come back. I lost my dad in a car accident during my first year. The time it took from getting off Face Time with my brother and walking into my house in Johannesburg felt like an eternity. That’s been the hardest part of my journey here. Life continues wherever in the world you choose to be. We are constantly sacrificing what could be with some for what you chose to be with others. 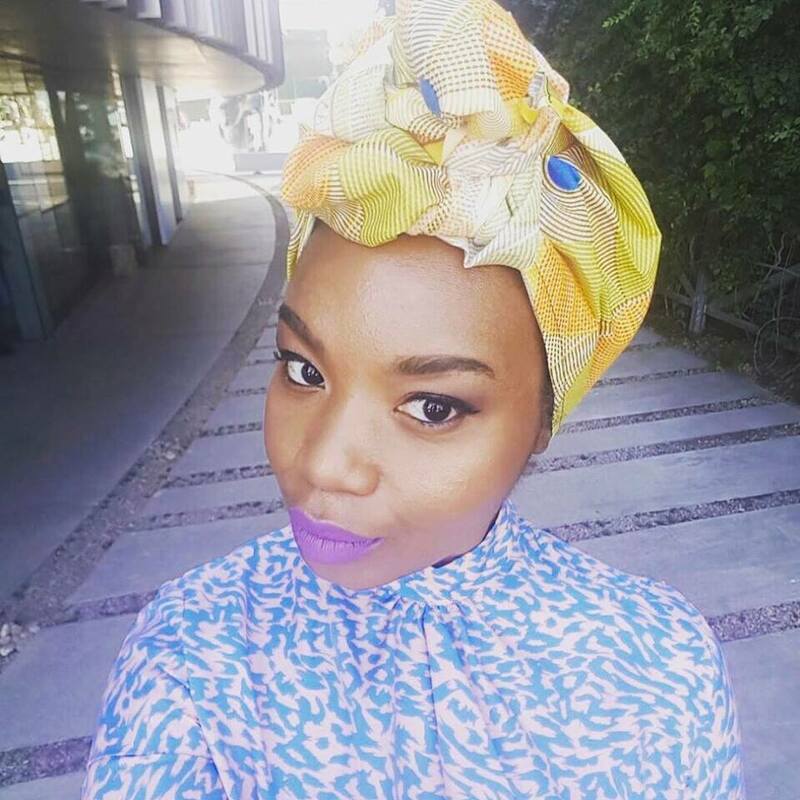 LM: As a black South African woman, what has your experience been navigating the acting scene in New York? How have you been received and what perspectives do you come with? PS: So many. I am first on a visual level, I am first a black person in America. Which is currently and has never really been an easy thing. I think in some ways it has been great being able to break people’s assumptions as soon as I speak or I am asked where I’m from. It’s been a struggle for me to take on the American identity as my own, because a lot of the work I’m auditioning for requires me to do so. I’m finding a balance and am clinging onto everything South African about me with all my might – It’s my blessing, my individuality, my strength. I would not forfeit it for the world. LM: What do you suggest for someone coming after you, inspired by you, who would like to pursue a(n) (acting) career in a foreign country? PS: Come with a large dose of perseverance! Some days feel like pushing a boulder up a mountain, some feel like you’re literally flying. But if you know that there’s nothing else you want to do in life, then do your research, come prepared and stay. LM: Where will we see you next? Tell us how to keep up with your progress. PS: I’m doing mostly theatre at the moment, so right now I’m looking forward to being at the Folger Theatre in DC, starring in Antony and Cleopatra. Other than that, I’m auditioning a bunch and looking forward to whatever comes my way.